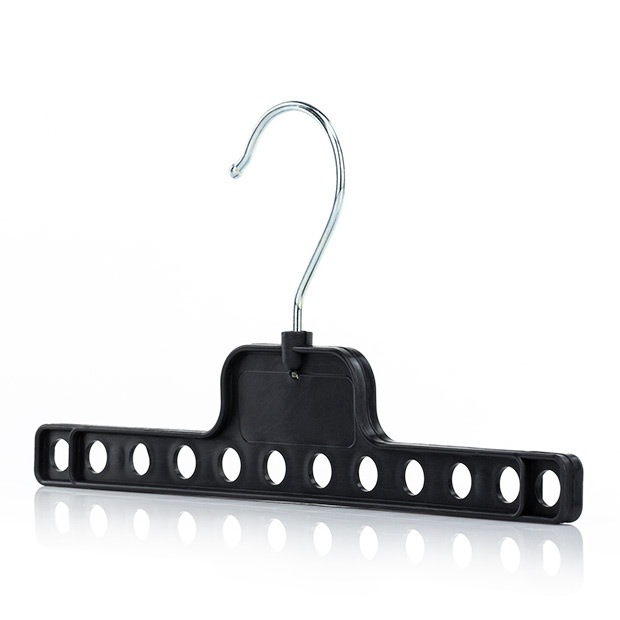 Pack of 6 shallow wardrobe coat hangers. Black plastic. Lightweight design but strong. Fully rotatable chrome hanger hook. Ingenious design for shallow clothes rail spaces. Holds up to 12 coat hangers. Garments can be hung in line with the rail instead of at right angles to it. Perfect for small depth wardrobe spaces where clothes can't be hung in the normal way without having to angle to the side. Also great for use when carrying several garments at once and transporting garments hanging in the car. Size: Width 22.5cm (8.9") approx.